Now that the Thanksgiving is over and after you have devoured all the pies and turkey, you must be busy writing your shopping list. The festive shopping season has officially begun. Do you like to shop? I mean, who doesn’t? Unless you are Minimalist crazy! I do shop, but I am not a shopaholic like Becky. Remember Becky Bloomwood from Sophie Kinsella’s popular book series. Do you like to shop small and local business or are you a big brand person? I am a bit of both. Back home in Delhi, we have traditional bazaars and big swanky malls. With such varied diversity, ethnicity, and diversity, local bazaars have so much to offer. One can get a glimpse of India’s rich culture and traditions. You can find clothes, accessories, hand-made crafts, jewelry and food. Our local bazaars are the mirror to the past and present. Local markets consist of both small locally owned shops and roadside vendors. The shopping malls have brought a new culture of entertainment and socializing. Malls scream consumerism, consumerism, consumerism! The tussle between local bazaars and malls is quite evident in cities. In the USA, every neighborhood has a mix of both small local businesses, and large retails stores. One can see unique coffee shops, hair and nail salons, clothing boutiques and corner stores giving competition to Starbucks, Macy, and Target. I don’t know how severe is this competition and for how long local stores can survive in this age of online and mobile shopping. Research shows that a substantial number of small brick and mortar stores will run out of business in few years time. I prefer to shop locally as it gives a sense of community to me. I think I have contributed a bit to the society as the money is recirculated in the local economy. I like the product diversity small stores offer. I mean the products you get are unique. Every cup of coffee will taste different. Starbucks coffee whether you order in New York or India or China tastes same. The McDonalds burger is same dull and boring. In India, I knew every owner’s name in my neighborhood. I prefer the convenience and comfort of a small neighborhood store to significant and impersonal large stores. There are many useless products and too many aisles in large stores. I need a plain and simple toothpaste. I don’t need 200 varieties of toothpaste! It bewilders me. In USA stores such as Walmart, Target all look so same. They don’t have a unique charm and individuality of a local brick and mortar store. No doubt they offer massive discounts, but they surely can’t provide local ethnicity and authenticity and a satisfying shopping experience. 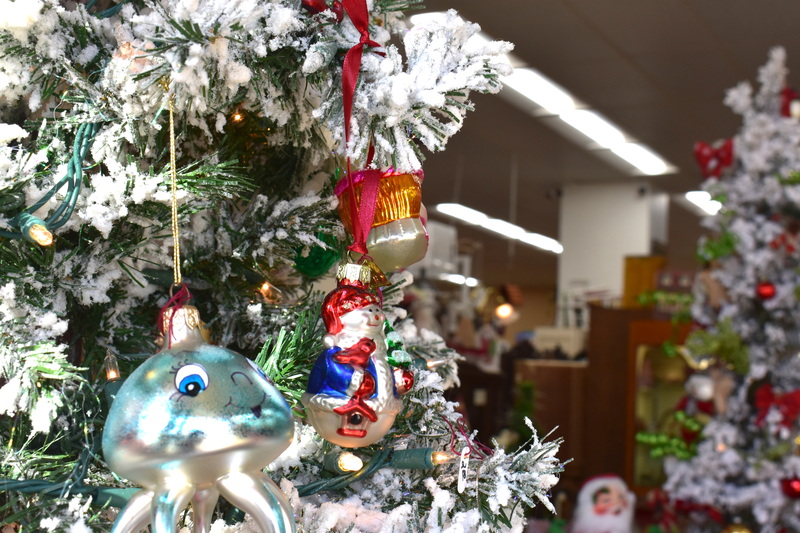 So head out this holiday season and enjoy the décor, decorations, and displays. Avoid the Bah Humbug mood and enjoy the holiday spirit!